Though the heyday of Bethesda's Fallout Shelter is long gone, it's far from done, as the hit wasteland survival simulator is coming to Xbox One and Windows 10 PCs next week, Microsoft has revealed. 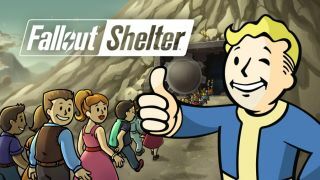 Almost two years after the game's surprise launch at E3 2015, Fallout Shelter took the App Store by storm, making over $5 million in its opening fortnight before making its way to Android shortly after. Fallout Shelter is already playable on PC, but those who opt for the upcoming version can use Xbox Play Anywhere to keep progress saved between both the Windows 10 and Xbox One versions of their Vault. For the uninitiated, Fallout Shelter puts players in the role of an Overseer, a manager of an underground Vault designed to house what remains of humanity after the nuclear apocalypse. Since the game's launch, new features have been added like crafting, more ways to customize your dwellers, and dangerous new quests and threats to encounter. Fallout Shelter for Windows 10 and Xbox One launches February 7 on the Windows Store and Xbox Store, respectively, and will be free to download.